The inspiration was my wishes about some of this kind of table: very easily transforming when my friends urgently going to me for the party. 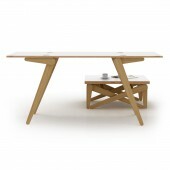 Kena is a table transforming from the coffee to the dining table. Kena table was specially designed for small rooms and apartments, where there is no space for a full dining table, it is the transformation of the function as a space-saving, and new opportunities of a small room. Here had been trying to make price less, and focused on the birch plywood. Feature of the Kena table design - a special transformer system, intuitive understanding and most importantly safe for hands, unlike some analogues. 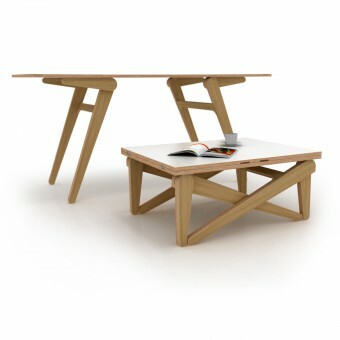 The basic principle of the table Kena and unlike analogues is that short part legs and long part legs are fixedly joined and their axis of rotation is spaced from the edge by about 10 cm., So when we begin to translate into a high position at some point in the design legs abut on the tabletop and can not continue to rotate, and back also can not rotate as it pressed down by the weight of the table. This circuit creates a rigid structure. The project started to design at Saint Petersburg in 2010 year. Here was a lot version of the table until We have been managed to get the right version of transforming table. Kena is made of birch plywood. Tabletop is covered by wear-resistant laminate. 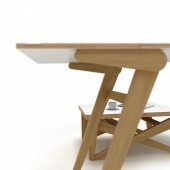 In the same time, elements of the edge of tabletop and legs are covered with natural oil for wood. The research work on the creation of Kena table began with the identification of the needs of city residents living in small apartments. The main share of apartments in large cities - an apartment with an area of ​​30 to 60 square meters They are almost 70 percent. Residents of such apartments have high requirements for compactness and convenience of furniture. The most difficult was to create a design that would be visually intelligible. It was clear how it works and would be safe for the users' palms and fingers. The production uses the latest technology - coordinate milling of a plywood. 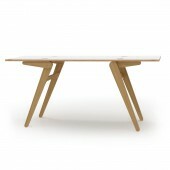 The material is environmentally friendly - birch plywood, the quality of the material itself is designed for long years of use. It had to be not expensive in cost, easy to assemble, gather safely, so that no one would hurt his hand. The table should be inexpensive to manufacture. 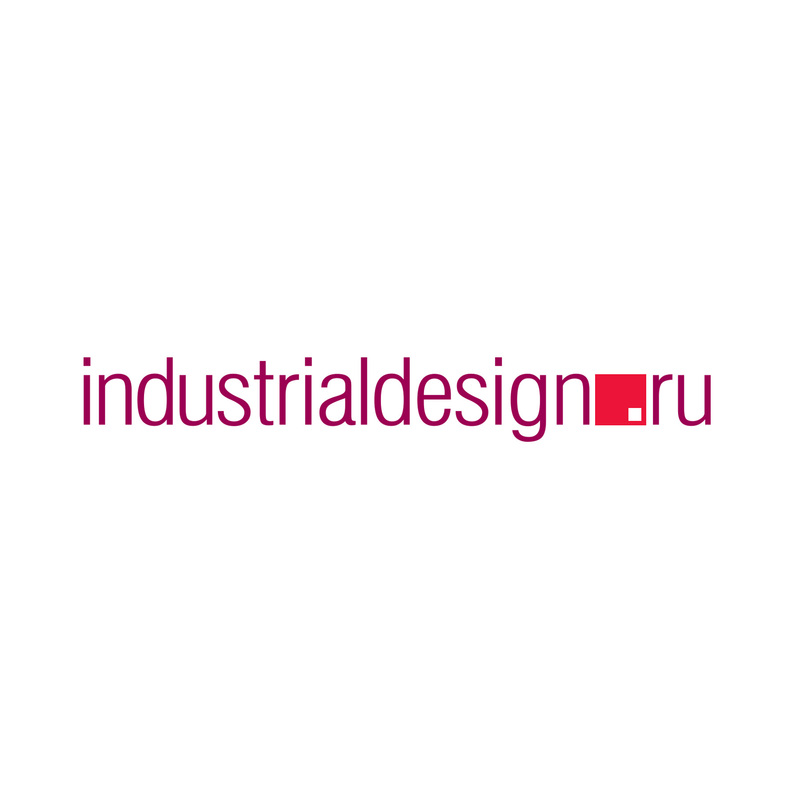 Industrialdesign.ru - Studio industrialdesign.ru is a team of the best graduates of St. Petersburg State Academy of Arts and Industry, Industrial Design Department, and experienced design engineers. All specialists of our studio are professionals in the sphere of industrial design and have extensive experience in design and manufacturing application of industrial articles. Service The studio’s activities cover the whole process of design from primary negotiations and concepts to production of specific products. We perform the entire process of designing: analysis in terms of artistic execution, design and ergonomics, making a draft, layout and design of the article, a prototype model and preparation of design documentation. Strategy The principal concept of the studio is manufacture of competitive products using attractive design and comprehensive integration of the industrial design in the commercial strategy of our partners. Moreover, we are not merely producing a successful commercial product - we do our best to create articles, having great respect of people who will use them, with regard for their values and preferences. It is necessary as well to take into account the ecological safety of manufactured products. Transforming Table Kena Transforming Coffee Table by Alexander Sekirash is a Nominee in Furniture, Decorative Items and Homeware Design Category. · Click here to register today inorder to be able to view the profile and other works by Alexander Sekirash when results are announced. Transforming Table Kena Transforming Coffee Table by Alexander Sekirash is Winner in Furniture, Decorative Items and Homeware Design Category, 2016 - 2017. · Press Members: Login or Register to request an exclusive interview with Alexander Sekirash. · Click here to register inorder to view the profile and other works by Alexander Sekirash. Did you like Alexander Sekirash's Furniture Design? 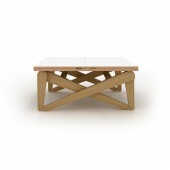 Did you like Transforming Table Kena Transforming Coffee Table? Help us create a global awareness for good furniture design worldwide. Show your support for Alexander Sekirash, the creator of great furniture design by gifting them a nomination ticket so that we could promote more of their great furniture designs.